Time- & Location-based RestrictionAny time, anywhere. Security that’s always on. The versatility of the cloud stems from its ability to be accessed from anywhere and at any time. However, this versatility is also sometimes a source of vulnerability. Sign in attempts from new locations or countries which are not in keeping with the usual behavior of the user in question, can put your organization’s applications and data at risk of security breaches. And even in your own office, allowing a user to access critical applications before or after business hours may not be advisable. You may need to set up certain time- and location-based restrictions when it comes to mission-critical data, and this is exactly what Akku’s location and time-based restriction brings to the table. Harness the versatility of cloud applications without compromising on data security using Akku’s location and time-based restrictions. 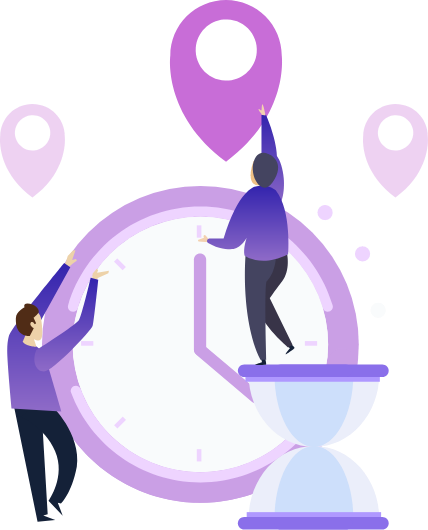 With Akku’s time-based restriction, your administrators can set up policies based on departments and assign business hours for each of them. Once this is set, users in each of the departments can access your enterprise applications only during the specified hours. They will also be automatically signed out of these applications at the end of the timings applied. A time-based restriction can be set up for specific individual users, entire departments or the organization as whole, depending on the need and relevance of the restriction. Akku provides your administrators with the ability to set up location-based restrictions to ensure that your applications and data can only be accessed from predefined locations, even if the user is located outside the company’s LAN. Harnessing SAML’s in-built capability to identify location and time-zone, Akku blocks any login attempt made from countries outside the whitelist, preventing the hackers and identity thieves from gaining entry.